SMILES were back on Liverpool faces at Anfield on Saturday as three points were secured against Bournemouth. It was a performance befitting of one of the most electric sides in football, and saw them entertain the masses and briefly take their place back at the top of the Premier League table. There were potential man of the match performances all over the park. In defence, James Milner was a constant presence down the right and Andy Robertson was his usual all-action self on the other flank. Fabinho dictated from midfield, while Gini Wijnaldum was as good as he has arguably been since arriving in 2016. Mo Salah saw much more of the ball on the right, and was unlucky not to bag his second hat trick of the season against The Cherries, Sadio Mane was a constant thorn in the bum, and Bobby Firmino returned from a dismal showing at West Ham to drag visiting defenders all over the place for the entire afternoon. There was one player, though, who stood out slightly more than the rest. Not because he was necessarily the best of them, but because he put in a performance that many had been waiting for. 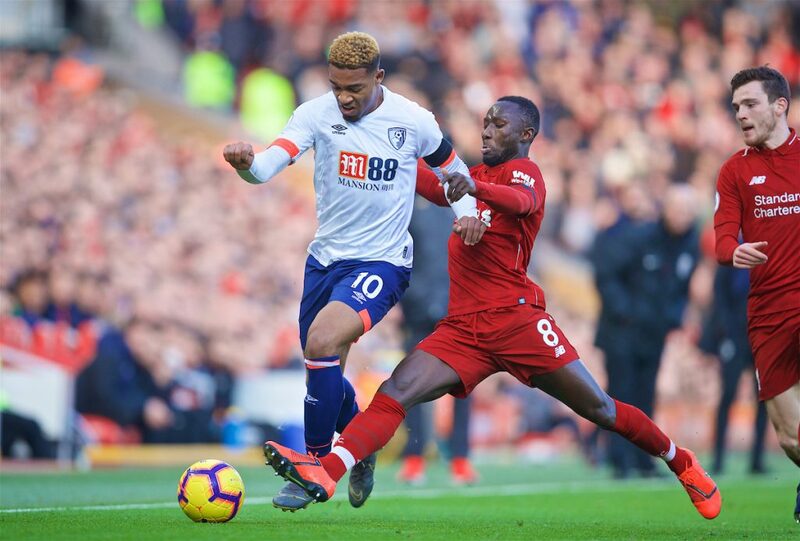 The performances of Naby Keita have come under the spotlight recently, for various reasons, but on Saturday he arguably put together his most impressive and complete showing for The Reds since his £52m move from RB Leipzig last summer. According to the club website, Keita led the team for touches (120), passes in the opposition half (63), duels (15), possession gains (12) and tackles (seven). His manager was effusive in his praise following the 3-0 victory. “You need a good performance. The second half against West Ham was good, the first half wasn’t that good but the second half was really good,” Jürgen Klopp told Liverpoolfc.com. Keita was part of a midfield trio against Bournemouth that flowed majestically. It felt almost like one performance beget another. Wijnaldum’s involvement was a doubt even the night before the game. The Dutchman had apparently been vomiting and had diarrhoea, but managed to recover to dominate the game by 3pm on Saturday. He played with a greater urgency than usual, possibly brought on by a constant fear of “doing a Lineker”. Perhaps it’s something the sport science team could look into as a performance booster. Get Mona Nemmer to start ordering expired eggs and questionable meat. The former Newcastle man was everywhere, especially in an attacking sense. He dovetailed brilliantly with Keita, getting forward far more often than usual, and it paid off with an incredibly well-taken goal. You might say that – like Wijnaldum the night before – Eddie Howe’s team just couldn’t cope with the runs. 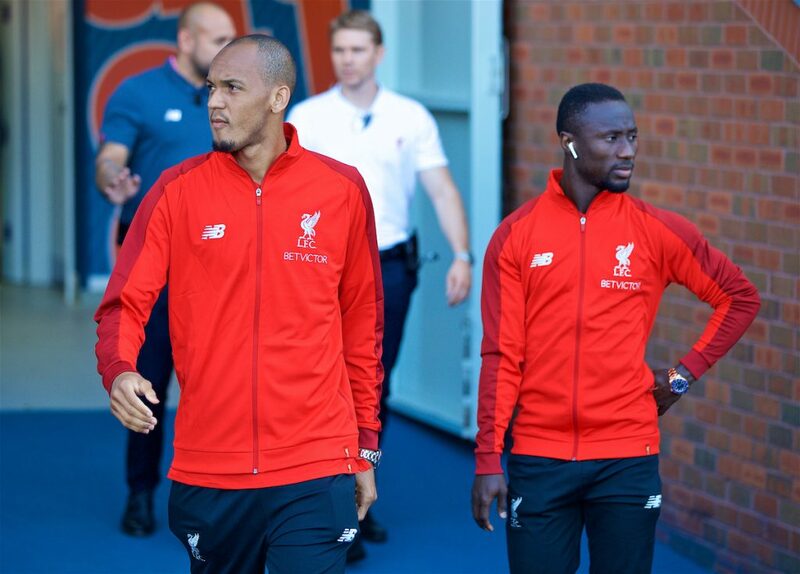 Fabinho is really settling into his role at Anfield. His performances have gone from rocky to rock-like, and the Brazilian now looks like he’s been playing in England for years, winning tackles, protecting his defenders, doing some of the dirty work for his fellow midfielders, and pinging precise balls along the floor, and over the top into dangerous wide areas. It has been a more gradual process for Keita, which has caught some off guard, not least his manager. While some have pointed to Robertson, Alex-Oxlade Chamberlain and Fabinho as new signings who didn’t bloom straight away, the difference with Keita is that he was thrown into the team from the first game of the season. Klopp even commented in pre season about how Keita wouldn’t have much adapting to do as the style he played in Germany already involved counter pressing, high tempo and aggressive passing. However, despite a promising start in games against West Ham and Crystal Palace, the Guinean’s form dropped off, and a struggle for form combined with picking up knocks meant that he wasn’t able to build up any rhythm. One exciting showing where he proved he could do it on a cold Wednesday night in Burnley aside, his form was nowhere near that of the player Liverpool fans thought they were getting. There had been murmurings that the player simply might not be as good as was advertised, but anyone who had seen Keita play in the Bundesliga more than a few times knew that there was an awful lot more to come from him. He seemed to be lacking belief in himself, shying away from his trademark dribbles, trying too hard to force things with overly optimistic passes and ultimately frustrating himself as well as fans. 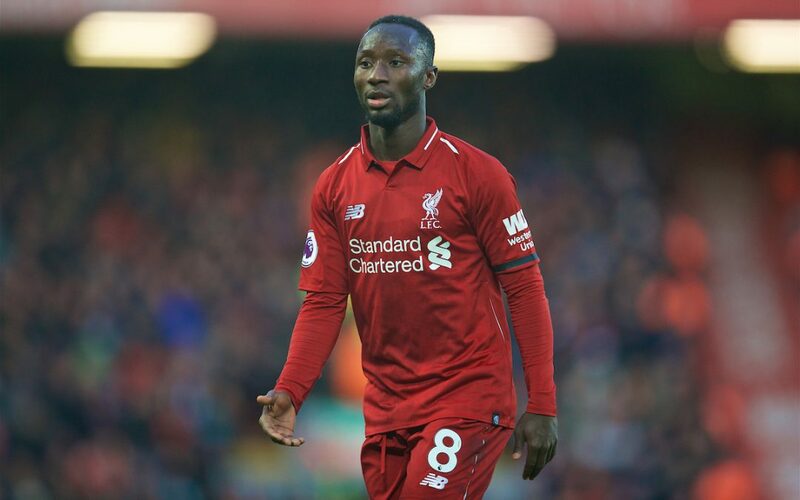 In recent games though, Klopp has kept picking him, partially due to necessity thanks to a growing injury list, but also to allow Keita to play himself into form. The German boss’s belief was that, once it started to click, the player he thought he was signing would come to the fore, and having seen shoots of it in the second half at West Ham, the full 90 minutes on Saturday vindicated the manager’s trust. The fans played their part as well. 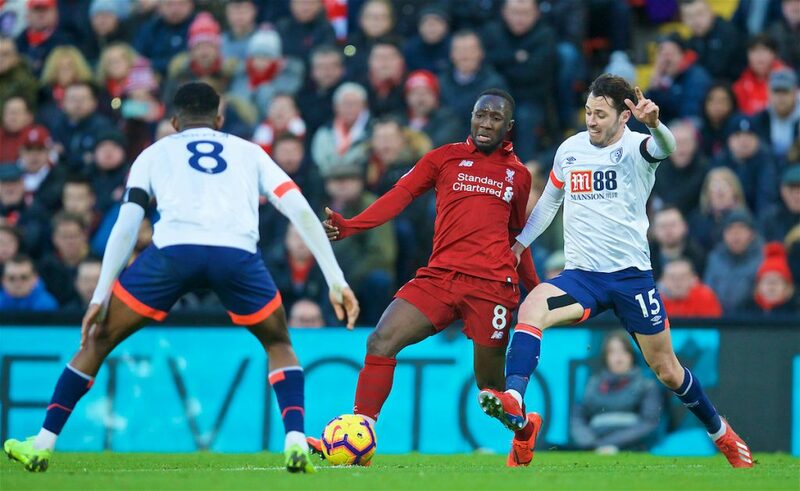 At one point during the first half, Keita picked up the ball, beat a man and dribbled forward, before laying a well-weighted pass into the path of James Milner to head down the right-hand side. There was a significant round of applause from the crowd. Keita seemed to grow in belief, as all of a sudden he was everywhere, being closer to the player that those who were less familiar with him prior to his move had seen in YouTube videos. Heading into the season, frankly, the hype went overboard. The big fee, receiving Steven Gerrard’s number-eight shirt, the year-long wait to get him here, knobheads like me writing articles about how he would change football as we knew it, and in all honesty, his highlight reels didn’t help. In both his first season at Leipzig that convinced Klopp to make the move, and even in his second season when his form dipped and he got sent off so many times he must have thought he was playing for Rangers, what excited me most about him was that he always seemed to stay sensible on the ball. Almost without fail, he would pick the best option that was available to him, whether it was a short pass, long pass or mazy dribble. That was what made it such a shock to see him do quite the opposite in England. He has clearly needed to get used to the extra intensity of the opposing teams’ press. He doesn’t get as much time on the ball in England and that is clearly taking some adjustment. Another issue raised around the player has been the language barrier, with some feeling that with a year to prepare before coming to England, and eight months into his time in the Premier League, he should have learned English by now. While that can be a problem, it is strange that it has been seen as such an issue for Keita when, for example, I don’t recall ever seeing Bobby Firmino say more than the odd word here or there in English. Keita gave an interview in October saying that he was aiming to learn the language within six months, so it’s not as if he’s not trying to address it. Incidentally, Real Madrid defender Marcelo recently said that, after six years in Spain, Gareth Bale still doesn’t speak the language. Perhaps if Naby doesn’t respond to “Alright la?” by 2024 we can start to be concerned. Despite criticism from the outside, and an acknowledgment from his own manager that he has a lot more to give, Keita doesn’t appear to have ever lost the trust of his teammates. In each of the last four games, it has been noticeable how often they have looked for him, using him as the go-to ball when trying to build attacks or keep possession. Near the end of the game on Saturday he played one-twos with nearly every outfield player before trying what was close to another superb through ball to Salah. He is presumably performing at Melwood because he clearly has the confidence of his fellow Reds. It would be nice for him to get his first goal, and he has just one assist to his name, but he does seem to be racking up “assists before the assist”. Liverpool’s first goal of the campaign against West Ham arrived after his run and pass to Robertson, who in turn fed Salah to score. He managed it twice on Saturday, bringing the ball down from the air expertly before giving it to Milner to cross for Mane’s header, and his perfect ball to Firmino for Salah’s goal should be recognised as some sort of significant statistic. It was far more impressive than his only actual assist to date, which was to play a simple pass to Firmino against Palace. There’s no denying that Keita has struggled so far, but he now has a solid performance under his belt to build on and can go to Marbella feeling 10ft tall. If a lack of confidence really was the issue, it shouldn’t be anymore. He turned 24 on Sunday. Keith is a baby no more. It’s time for the real Naby Keita to please stand up.